TrailDash2 for Jeep®: a bigger and better performance controller. 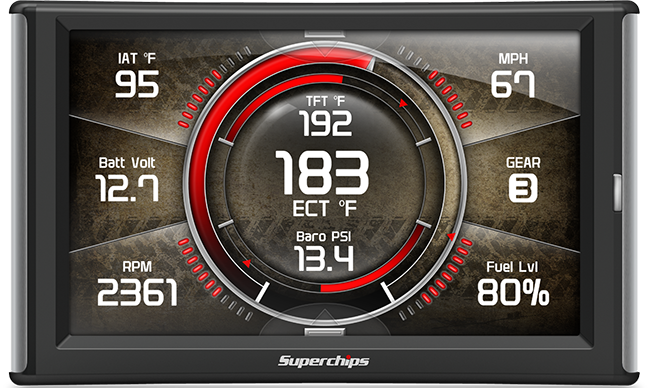 In addition to the new slim case design, we upgraded to a 5″ full-color display, making our gauges the sleekest in the industry. We didn’t stop at making the display larger, we also made it better with a new high-resolution screen. Lastly, to complete the streamlined new look, our engineers added one simple HDMI style plug for power and linking EAS accessories. Did we mention nothing comes close to offering what TD2 offers for Jeep customers? We’ve listened to your feedback we’ve given you more customization than you could ever imagine! Not only can you download your own custom background, the second generation comes fully equipped with a custom color mixer for gauge arcs, needles, and layouts. Best of all, you can have 2 screens set up at one time to swipe through from 6 different gauge screen options. It’s obvious you have good taste if you’re considering a TD2 for your Jeep. We promise you won’t be disappointed. 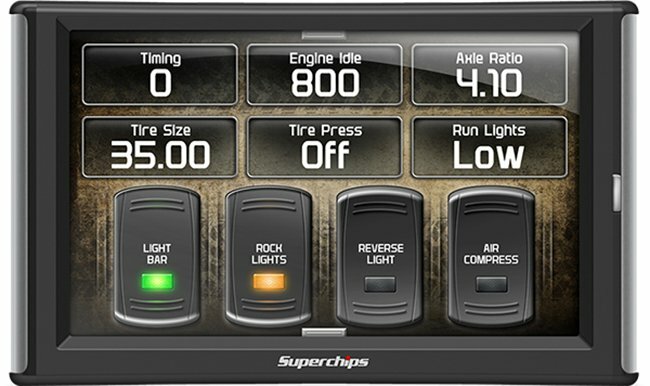 Superchips offers the industry-leading solution for 15-UP Jeep® Wrangler® JKs. The onboard vehicle computers are a different animal for the 15-UP JK, but fear not. The TD2 PN 42051 provides you with a seamless solution that delivers all the same great features, power, and customization that have established TD2 as the premier Jeep performance upgrade. Check it out today!